Think back a couple of weeks. How was your Valentine’s Day this year? Flowers and chocolates from a significant other? Well, mine was different to that. My sister owns a florist and this year, like last year, I agreed to join her delivery driving force for the day. 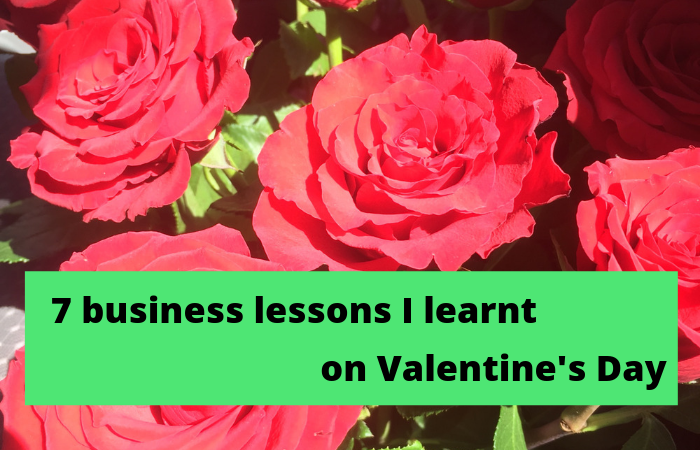 Driving around all day with nothing but a car full of flowers and the occasional teddy bear for company gave me a lot of thinking time, and this blog post is the result: all the stuff I learnt about small business on Valentine’s Day! I don’t believe a change is as good as a holiday (what sort of terrible holidays had whoever first said that experienced?!) but a change is still an awesome thing. If you get the chance to spend a day doing something completely different, take it. 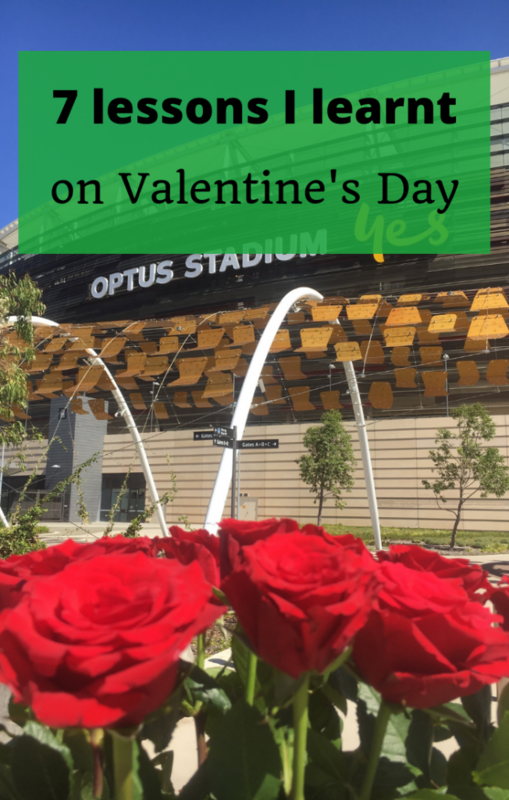 While I may not quite yet have had a proper day off (as promised in my 19 things for 2019), I did spend Valentine’s Day completely ignoring my own business and that can sometimes be a really good thing. I certainly came back renewed and refreshed the next day (once I’d got over the exhaustion of spending all day driving and delivering!). Many of you know that my business started kind of accidentally, when participants in my workshops at UWA Extension started to ask me for one-to-one help (almost nine years ago now!). I suppose a small service-based consultancy like mine CAN start accidentally, but most businesses require a bit more thought before they miraculously just happen. And that would, of course, be the case with a florist. It might still qualify as a small business but goodness me give me my business any day. There is so much more to juggle. Stock (some of which dies after a few days! ), a physical place for everything, a shop front, staff, physical cash, the list goes on. I am all too good at ignoring the sensible business advice to take time to work on your business, not just in your business. Yes, even with my work it’s very easy just to focus on the immediate client-based work that will pay me straight away, and ignore the bigger picture of managing and expanding and streamlining and marketing my business. But I still get around to most of that more or less when necessary. I run my business as well as do my job. Well, I think that is a lot harder to do in some businesses than others. My sister has to spend a lot of time at the flower markets or closing up the shop or doing all the “job” parts of the business; it’s exhausting to come back to work “on” the business when the shop’s closed. I spent the day delivering flowers to people in lots of different businesses. It was a working day, and as a generalisation many of my deliveries were to women in their 20s, and many of them were working in companies that did stuff that I really don’t think these women in their 20s were passionate about (it probably takes a special kind of person to be deeply interested in drilling or settlements or bolt manufacturing and I suspect these bouquet recipients weren’t). It got me thinking that I still do have plenty of friends who are doing work they really don’t care much for or about, and they’re just doing it because they feel kind of stuck there, usually because they have bills to pay. I’m extraordinarily grateful that I have built a business I care very much about, and even more grateful that through this I get to work a lot with the kind of people who are doing work they are truly passionate about. It just seems so much more fulfilling. If I were to start a Valentine’s Day movement for next year it would be to get people to deliver flowers to teachers. I had deliveries to five different schools, where surely teachers make up the majority of the employees, but all the flowers were for non-teaching staff. What’s that about? Teachers are awesome! If the doorbell rings unexpectedly, take a moment to look down and see what you’re wearing (or not wearing) before you answer it. As a once-a-year delivery driver, I promise you I would much rather spend thirty more seconds on the doorstep. Just saying! It wasn’t all half-dressed door openers, though. I met some beautiful people and of course most people are very happy when you show up to deliver them flowers (except the person who said the flowers were from her ex …). The ones who are touched and thrilled that their significant other thought of them (a boyfriend far away in Portugal; the husband of a mum to a toddler and an eleven-week-old baby, to name but two) make me understand why people work in this business. Just the same, I’m sticking to my simple consulting business where I get paid for my time or my training package and nothing ever wilts and I don’t need to order my stock months before Valentine’s Day. Give me the simple life! Great post and validation for doing what you love and not having a business that relies on bricks and mortar, stock, inventories, deliveries and so much more. Although I’m sure your sister enjoys her business, I’d say you are in the better space and you are doing such a good job helping other people do what they love too. However, once a year enjoying the vagaries of flower deliveries is probably a nice eye-opening interlude into another world (and worlds). I’ve encouraged my children to follow their passions, as life is too short not to – As long as they can find a way to support themselves and enjoy what they do.